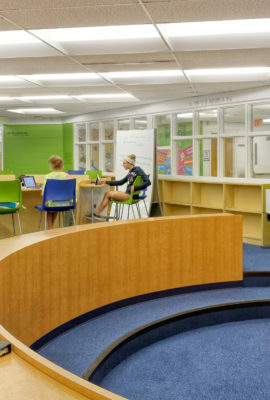 The new Hilliard Innovative Learning Hub offers students unique learning opportunities in a multidisciplinary setting. 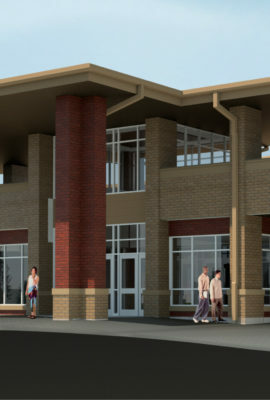 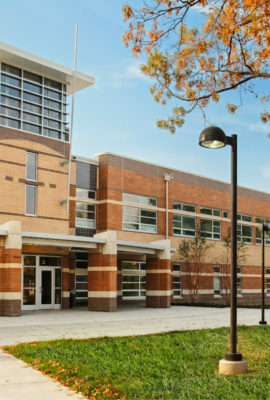 The former Hilliard Station building has been renovated to create a center for multidisciplinary learning for students in grades 6-12. 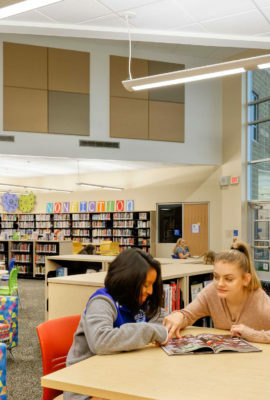 At the Hub, students take classes that are not offered at the district’s traditional middle and high schools, such as a course on Design Thinking which incorporates language arts, science and public speaking. 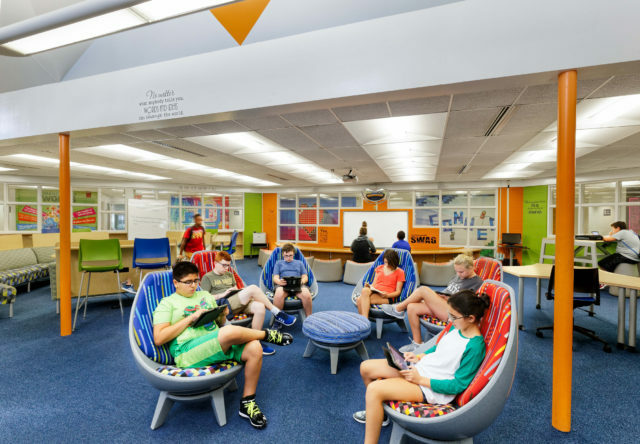 The design of the space provides a flexible and collaborative environment for diverse learning objectives, and integrated technology supports the district’s focus on preparing for the future. 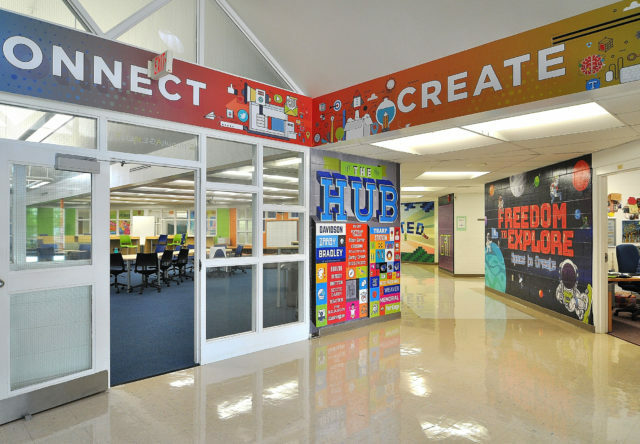 Art teachers collaborated with Hilliard’s local graphic designer to create schemes for the wall graphics featured throughout the space. 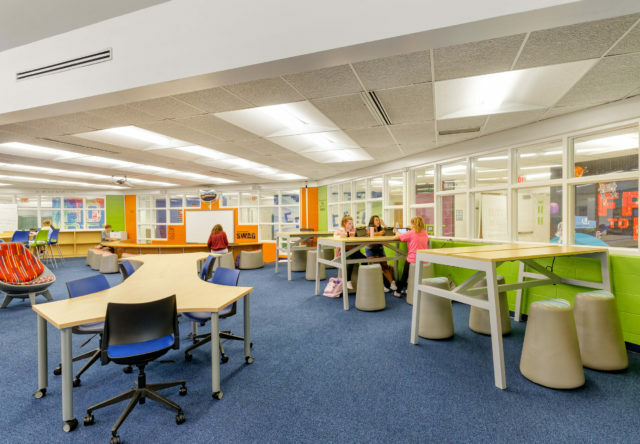 Upgrades to the space included replacing all furniture to create a vibrant environment for students to collaborate, experiment and explore new topics. 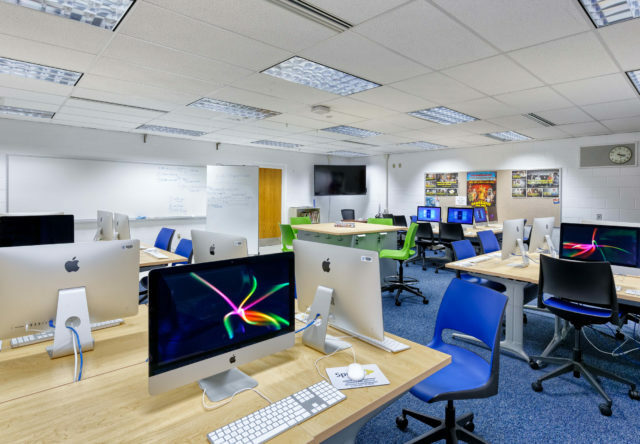 Integrated technology supports the district’s focus on innovation and preparing for the future. 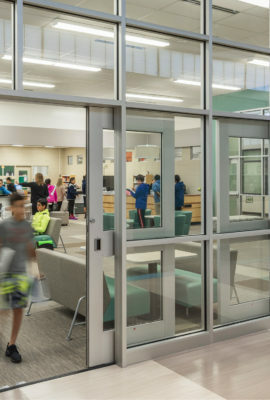 Hilliard Innovative Learning Hub has allowed the district to expand programming and offer students new classes, opportunities and ways of thinking. 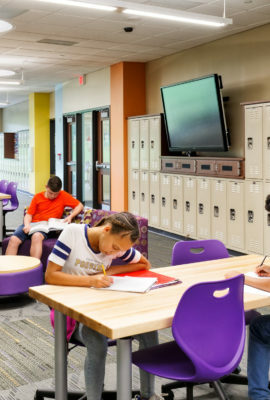 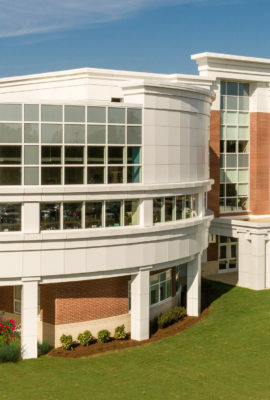 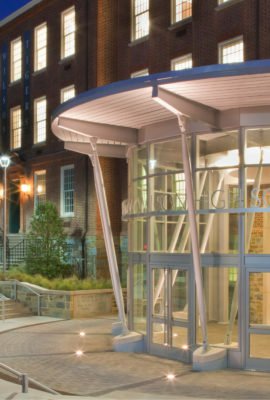 The expanded Innovation Campus has enabled more students to capitalize on unique offerings to personalize their learning experience. 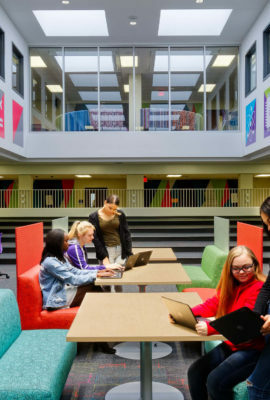 The physical space promotes multiple modes of student learning, supporting both individual and group work, providing space for presentation and exploration, promoting interaction and a sense of community, and fosters both formal and informal learning. 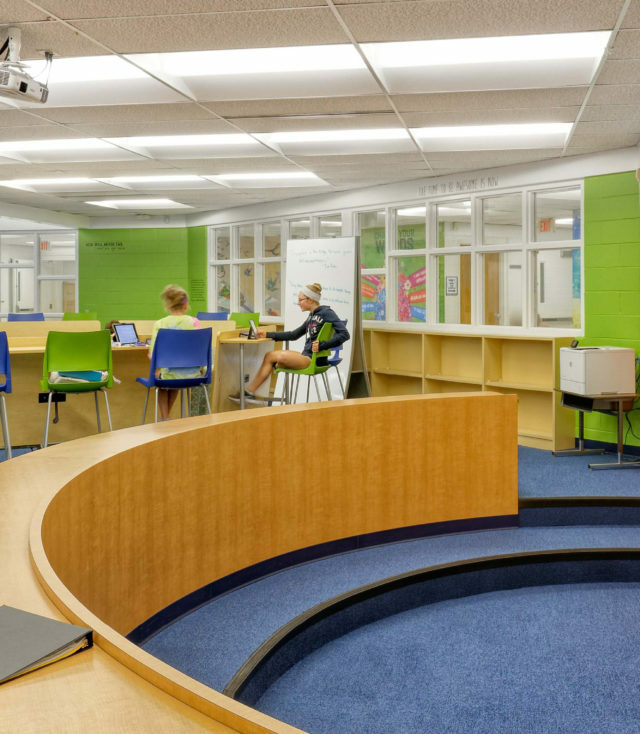 The design is a perfect blend that supports students in being architects of their learning journey.